NASA To Test Inflatable Room For Astronauts In Space : The Two-Way On Friday, a supply rocket is scheduled to send an inflatable module to the International Space Station. 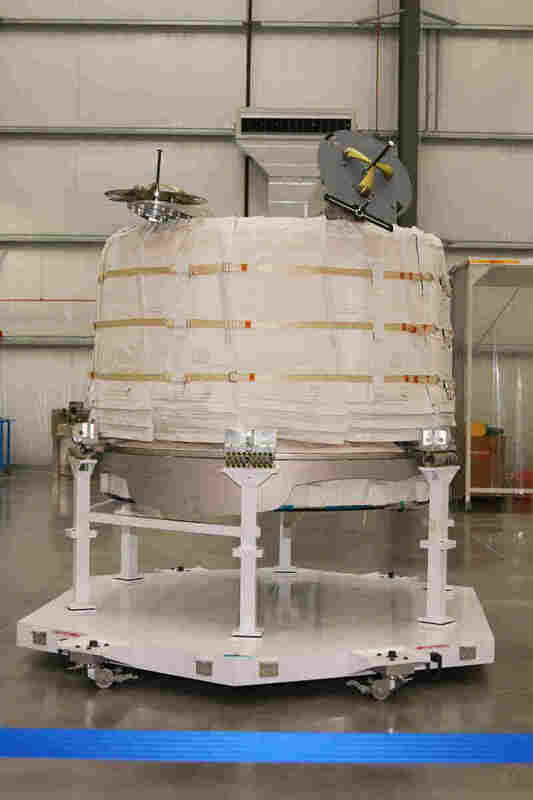 The expandable technology is being developed by a private firm. 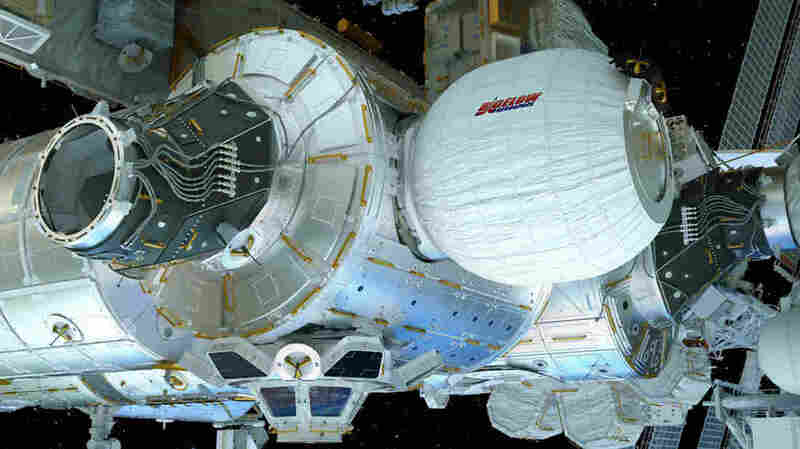 An artist's rendering of the BEAM inflatable annex attached to the side of the International Space Station. Kriss Kennedy was a NASA space architect working on the problem. It essentially boiled down to this: How do you pack a large living structure into a small rocket cargo space? The solution: inflatables. A previous version of this post incorrectly identified Kriss Kennedy as a NASA engineer. He is a space architect.